There are no differences in the LinkedIn profiles of students and experienced professionals. Individuals who create LinkedIn profiles during their study life get 20% increased chances of landing a good job earlier. If you will create the account on this platform post completion of studies, this can be definitely disadvantageous for you. Creating the profile earlier actually helps to build your connections. This will result in accomplishing your goal on right time. Your profile picture and headline are two of the most important and most viewed elements of your profile. Consider cropping your profile picture to give profile visitors a more clear image of who you are. Consider updating your headline to give a quick overview of your background and the type of position you are seeking. Instead of ‘unemployed at unemployed’, you could update your headline to say ‘Information Technology Student Seeking Position’. Adding a summary section would allow you to give an overview of your experience and explain more about types of positions that you would like. Consider attaching your resume here as well and allow recruiters and future employers to review as they view your profile. The ‘IT Student’ information listed under experience would be more appropriate in the education section or addressed in your summary. 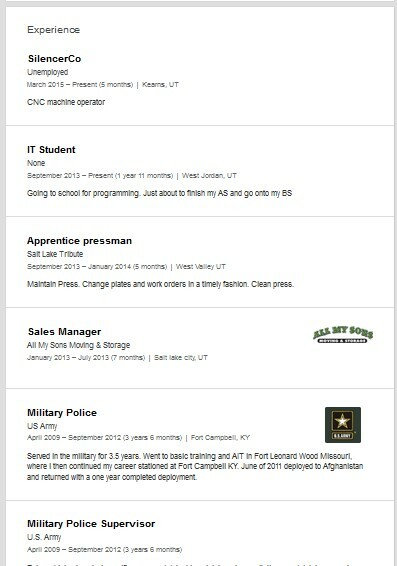 You might be also interested in our PM manager Linkedin profile review. Take the networking to next level by getting connected with people you don’t even know about. The irrelevant endorsements and skills must be removed before thinking twice. This is what can affect your profile’s image badly. The new updates and new sections can be added to make the profile more attractive. This hardly takes few minutes from your tough routine. The presentations, photos, videos, documents and other media files can be added to impress the employers in a better way. Haven’t you got customized URL of your LinkedIn page? Well, do it hurriedly to make your online presence easier. This platform gives you the option to link to a blog or website under your contact info. Use it properly. The key phrases that can increase your online presence by making your page’s search easier should be used for sure. Misspellings, typos and poor grammar are only to avoid for ultimate success in professional career through LinkedIn. Sell yourself to potential connections by writing a ridiculously good summary. This is how you can impress the owners of numerous firms to make you part of their ventures. Use background photo (of the real you) for self-branding. Gone are the days when people had thought twice or felt reluctance towards using personal photos on profiles. Get help from the best team of professionals on the Web here! 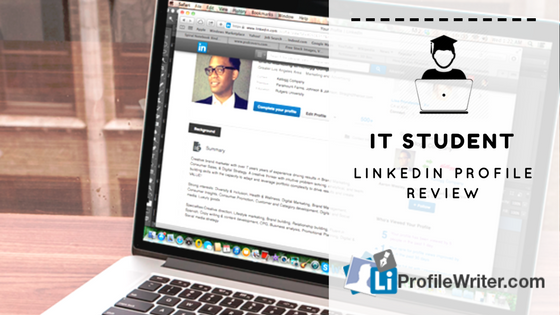 Make your IT student LinkedIn profile review shine! Never think of doing it all without reading the useful tips and suggestions. It is better to go for new updates and follow recent trends to stand out in the crowd in a better way. Some have said the damn true line about success in any path of life. They said, “Don’t wait for an opportunity. Create it”. This quote is enough to give the real goals of getting success in no time. All you need to do is avoid losing your focus. Read, read and read about creating and improving your LinkedIn profile. Work hard to refresh the image of your profile. For example, if you’ve written a new blog that got success, share it without thinking twice. Read whatever you’ve written from start to the end. This can help you to improve and refresh the content of your profile. Keep the length of headline not more than 120 characters. 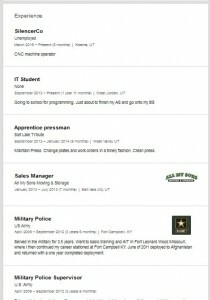 It is better to grab eyeballs of the employers towards your profile. All of these points are important to be followed by all the members of LinkedIn.